It could be for soccer or it could be for baseball, cleats are an essential part of several sports our kids all play. But unfortunately, with all sports equipment or gear, come their own issues. And we’re here to help you clear those issues up. Buying the wrong cleat, with the wrong support, could end up in big-time injury. For example, in soccer, a cheaper design could wind a player up in the hospital with a torn ACL. In fact, cleats with steel studs can really mess up when it’s worn on a surface that it’s not meant for. Grass, turf, dirt; this all makes a difference. Solution: According to CBC, it’s important that you invest in the right gear for the athlete and the sport. Don’t buy the more inexpensive pair or the ones that are on sale – that shouldn’t be the deciding factor. Do your research and know what you need before you go in and just look at the price tags and shoe size. Cleats can get just as smelly sneakers, sometimes they’re even worse. One sniff after a football game or soccer match and you’ll want to break out the Febreeze and drench them in it. But don’t do that, instead, let us teach you our magical ways. Solution: Soak them first. Fill the sink up with hot water and some type of mild dish soap before you throw them in. After a few minutes, fish them out and give them a nice scrub with a nail brush. Then squeeze them out and let them fully dry before the kids slide them back on. Solution: Whether it’s baseball, soccer, or even football, you’ll be able to use this trick on any type. Obviously, parents need to make sure they’re buying the right size for their kiddos. Have their feet measured and try them on before bringing them home. Before you bring the new pair into a game, start wearing them at home. Walk around with them, play for at least 20 minutes during lessons or practice, and once they’re fully comfy and your player feels confident with them – they’ll be ready for game time. Once our athletes are off the field, they may not be taking care of their cleats like they should. Teaching them how to keep them in tip-top shape is really important and really easy too. With just a few small steps, their cleats will last the season without issue. Point out these bullets for your kids and make sure they follow the guidelines of these “house rules” for taking care of their cleats. Never wear them off the field – the wrong surface can ruin the bottoms. Make sure you have some athletic slides to slip on before games or practices begin and once playtime is over. Clean them out after games. Check the soles and get out any gunk that’s left – particularly after rainy games. Dirt, mud, grass, even gum; you’ll want to make sure you clean it out as best you can. Care for the leather. You can apply leather lube or mousse to keep the leather soft and comfy, as well as waterproof. Before you go and buy the first pair of Adidas or Nike cleats on the shelf, you’ll need to take into account what kind of sport your little guy or girl is playing. They each need something a little different so take a peek at our recommendations. 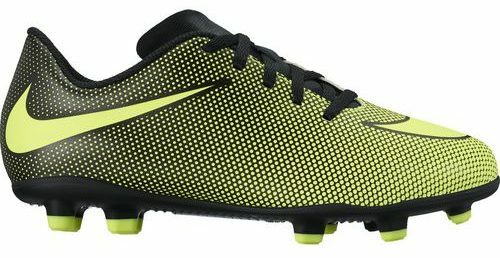 Soccer calls for soccer cleats that are made for low, firm ground play. The soles should be prepared for natural grass. They’re quite a bit lighter in weight than other cleats because of all the running and footwork involved in the sport. Baseball cleats have a toe cleat that’s used to dig into the dirt. You’ll find older players using cleats with steel spikes to help dig into the field better. But the steel designs should only be worn by more advanced players as they are known to cause injury. 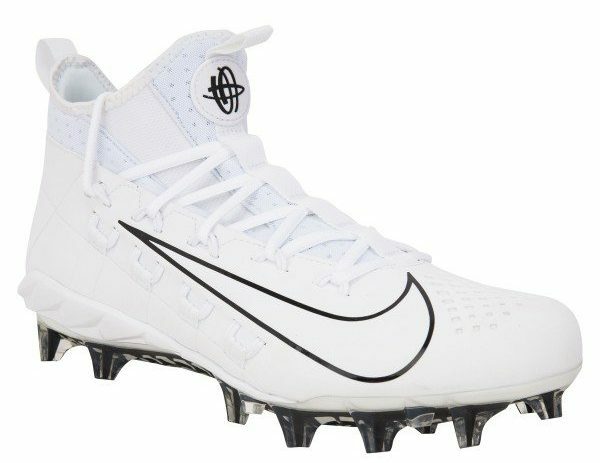 Football cleats are designed with longer cleats at the bottom of the shoe and help dig into the grass to provide traction and ease of turning. 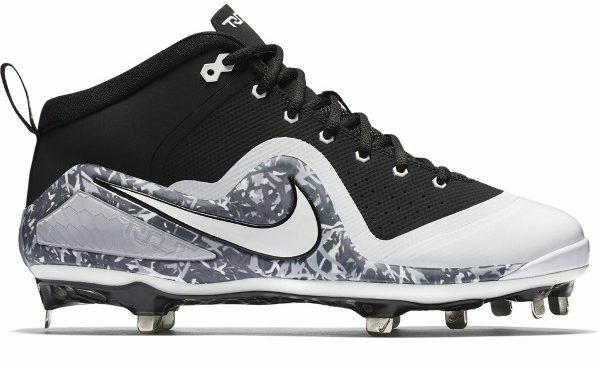 There are three different ankle cuts on these cleats: low, mid, and high-top. The leather is a bit thicker to provide extra protection from other players accidentally stepping on them as well. 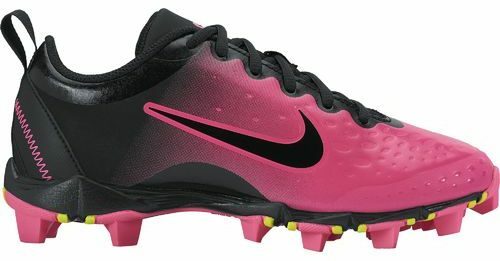 Softball cleats are similar to baseball cleats but are made in women’s sizes. For a long time, it wasn’t permitted that girls in high school could wear the steel toes but that rule changed back in 2008. 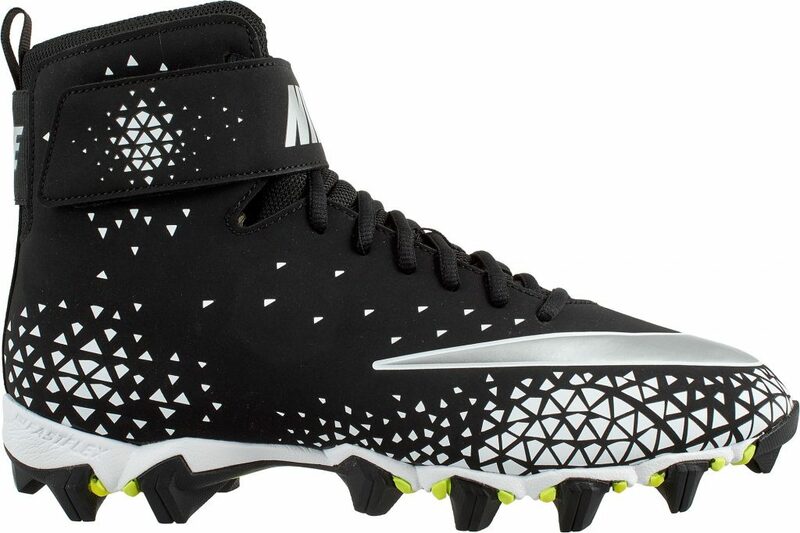 Lacrosse cleats have cleats on the outside of the sole to help with stability. They also have a similar toe cleat as baseball and have a higher cut on the ankle to provide extra support and protection.